the McKenzie is 80 Miles of world-class fishing. 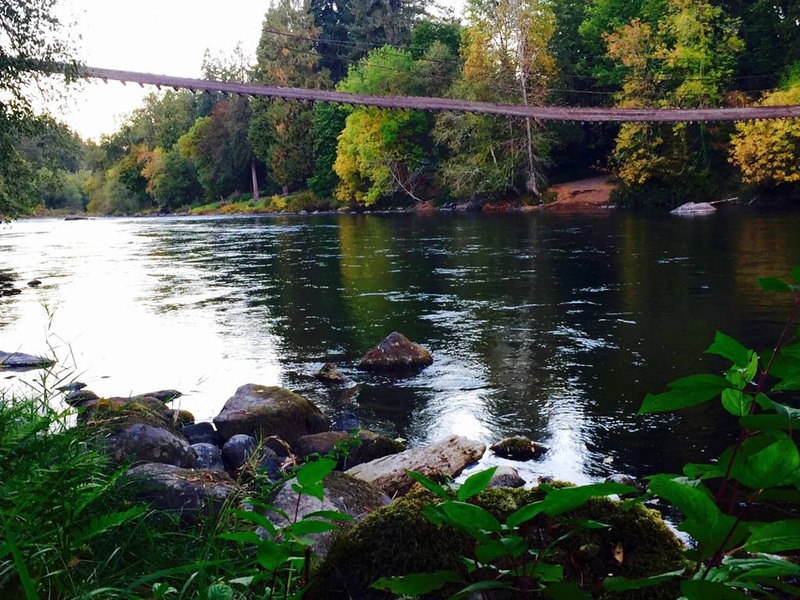 The “beaten path” stops well shy of this federally designated Wild and Scenic River. The crystal clear McKenzie River rises in the Cascades’ Clear Lake and flows through spectacular McKenzie Pass, past towering Eagle Rock, 80 miles to Eugene/Springfield where it joins the Willamette River. 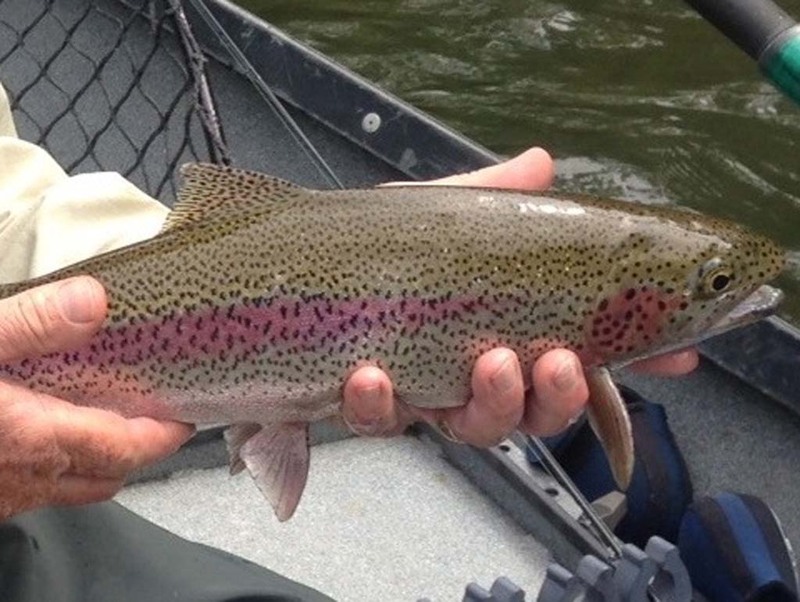 The upper river hosts mainly Rainbows, to 20 inches. 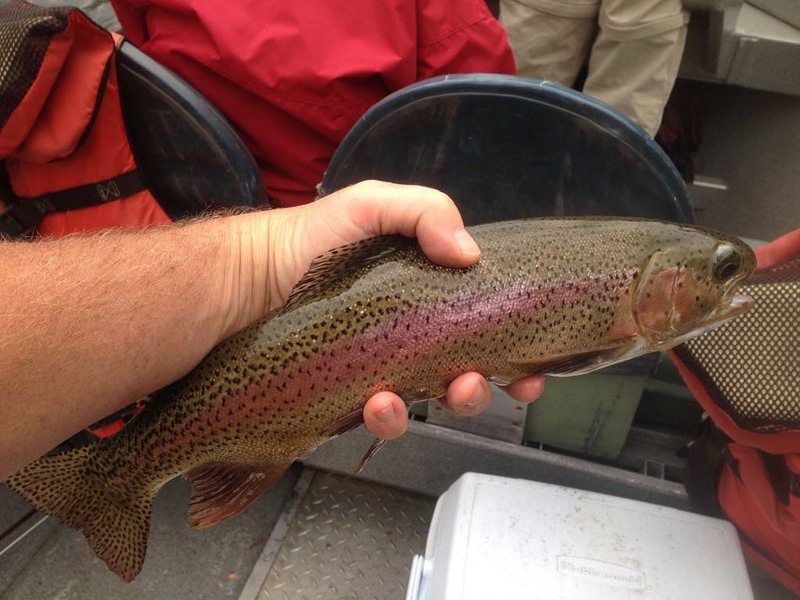 The lower river, near Springfield, is home to Cutthroats, to 16 inches. 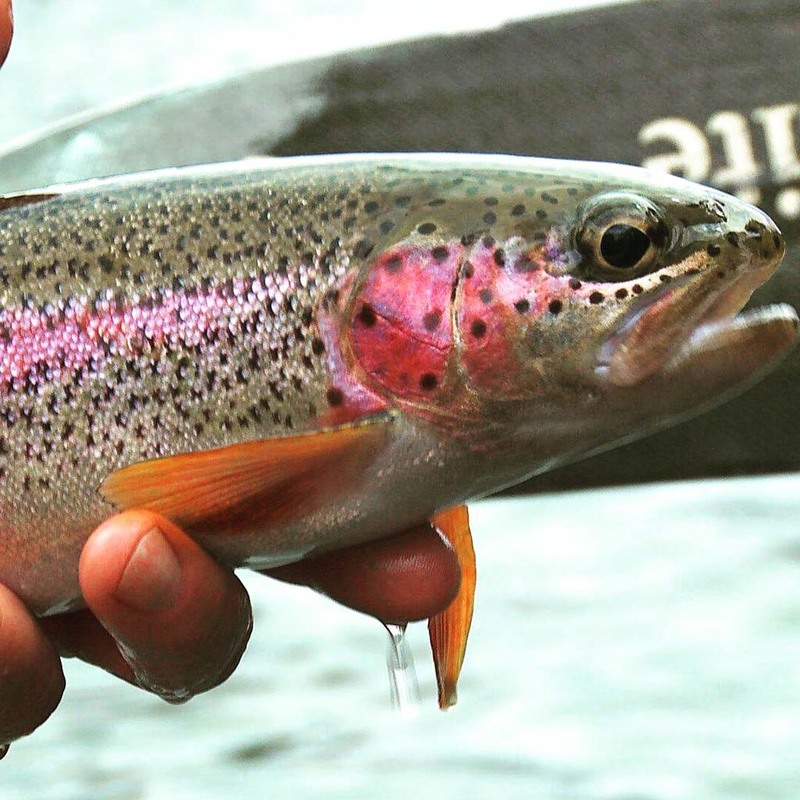 The average trout caught is about 12 inches. Our high-rise rocker-bottom McKenzie drift boats were designed and built over the past decades for use on this favorite stream and around the world. They are superb in running whitewater and, with our able guides on the oars, maneuver precisely into the nooks and crannies where the big fish hide. We run a guide and two guests in each boat. 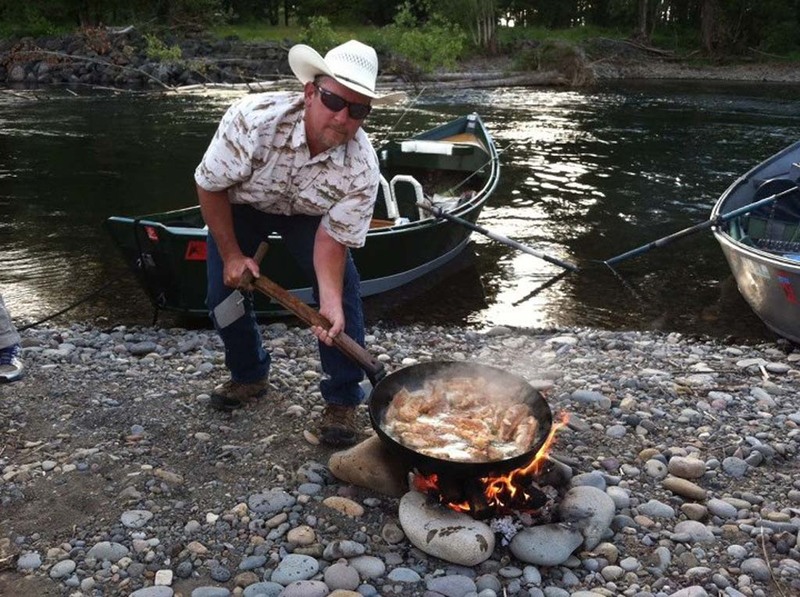 We furnish the fly-fishing tackle, but guests certainly may bring their own favorites. Rods should be 8′ to 9′, 3-6 weight with a weight-forward floating flyline. 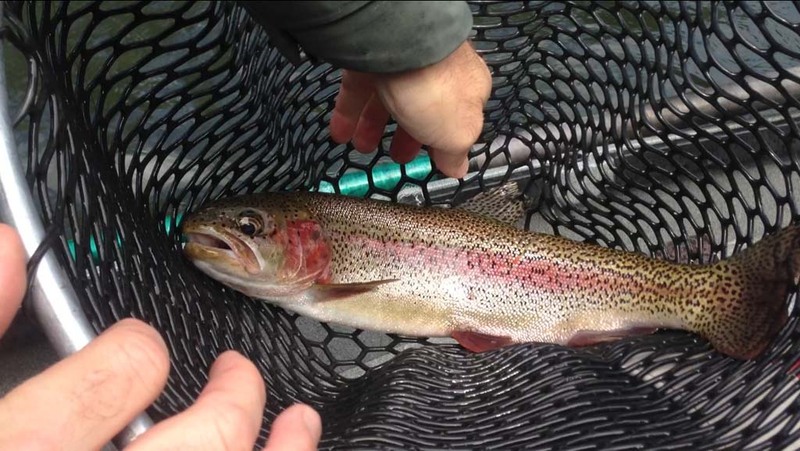 Be sure to bring rain gear, beverages, and an Oregon fishing license. 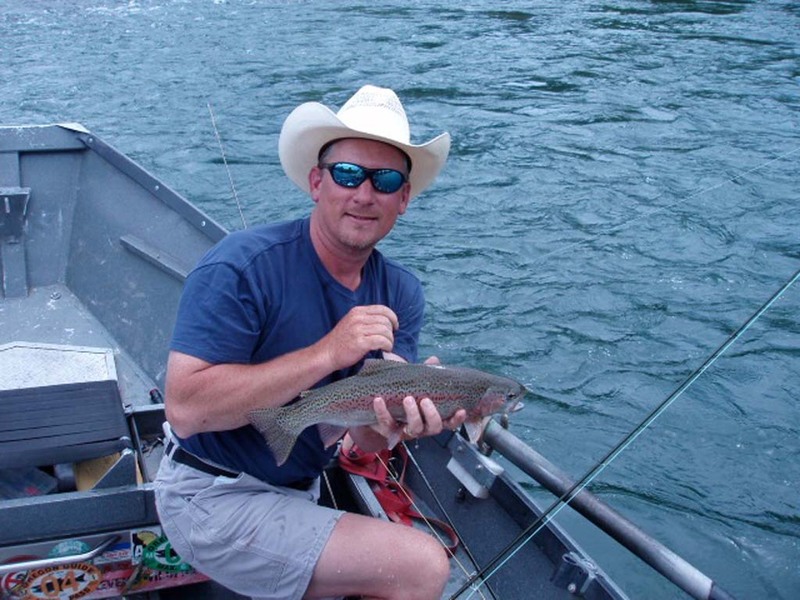 We recommend polarized glasses and a wide-brim hat. 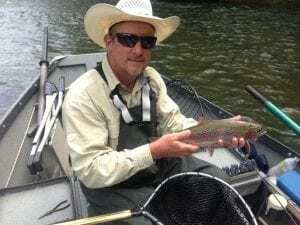 Prince Helfrich, the first generation of this family of McKenzie River fishing guides, started fishing the McKenzie River in 1925. His sons and their sons carry on this singular tradition. 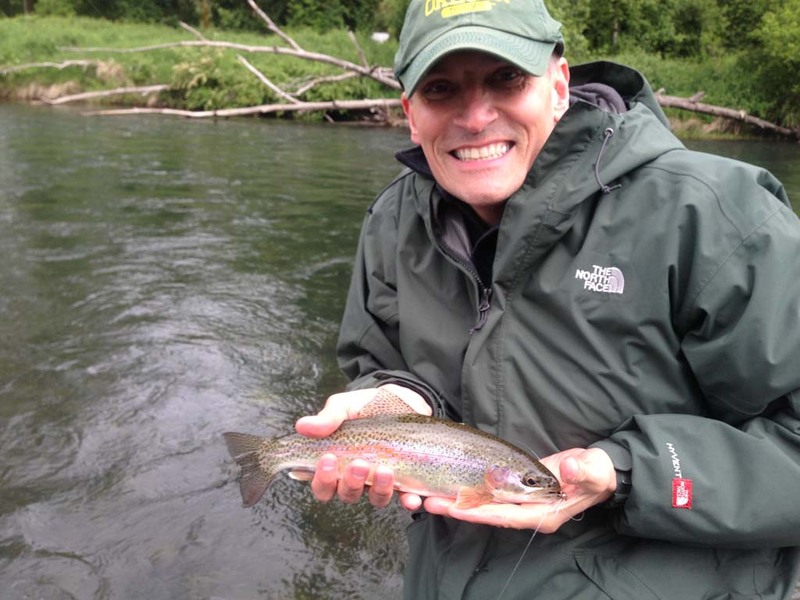 Each guide is state-licensed and insured. 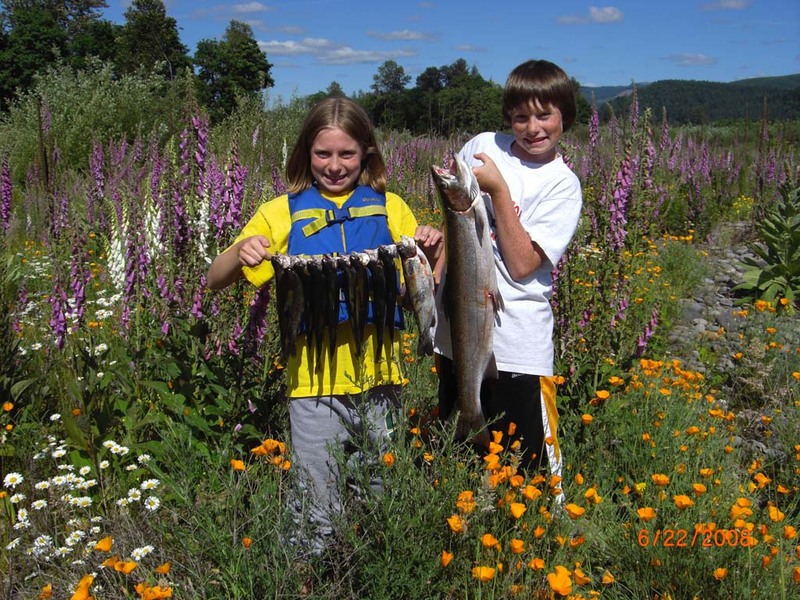 Each will provide expert fishing instruction, on request. Each is first aid and CPR certified. Each is skilled and experienced in both fishing and boat handling. Grant McOmie takes you boating on the McKenzie River on a classic McKenzie-style drift boat with the grandson of Prince Helfrich. Prince Helfrich was was one of the earliest to design and row the McKenzie-style drift boat down the streams of the greater Pacific Northwest.